I love the opportunities that writing a blog gives me as a reader. I didn't get into it for the free books and I most certainly do not take the few books I get for granted, but it's always nice for me, living overseas, to get an opportunity to read a hardcopy (as opposed to a Kindle version) of a book that I would otherwise have to wait years to get here in Taiwan. Case in point: Flight Behavior. Since reading The Poisonwood Bible a couple of years ago, I have been extremely keen to delve into Barbara Kingsolver's catalog. 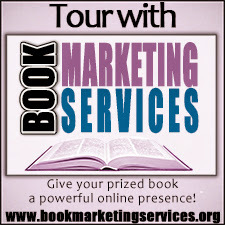 Alas, the gods of access have conspired against me until recently when I got the opportunity to participate in the blog tour for Kingsolver's most recent novel. As an avid reader and a fan of Barbara Kingsolver, I couldn't be more appreciative to the good people at TLC Book Tours. Flight Behavior answers the proverbial question: If a butterfly flaps its wings in rural Tennessee do unhappy housewives fly the coop? Dellarobia Turnbow is the aforementioned unhappy housewife on the cusp of throwing it all away. Married early and suffering from a severe case of seven-year itch, she accidentally stumbles upon the new and alarmingly inappropriate winter roost of the bulk of North America's monarch butterflies on a stretch of undeveloped land behind her home. To make matters worse. the land, which is owned by her overbearing father-in-law, is set to be sold to an irresponsible logging company (in literature, is there any other kind?) in order to save the family farm. But the arrival of a scientific research team determined to study the butterflies causes a deep divide not only among the citizens of Feathertown but also within the Turnbow family itself. What ensues is a litany of local conflicts that act as a microcosm for the growing divide within American society. Democrat vs. Republican. Science vs. religion. Rural vs. urban. Rich vs. poor. It's a veritable cornucopia of Man vs. Man conflicts and that is even before we get into all the man vs. nature and man vs. himself subtexts. In true Kingsolver fashion (or at least from the perspective of someone who has read The Poisonwood Bible) these divides are examined with a maturity and clarity that is rare among contemporary writers. Rather than simply taking a specific side and hammering her own opinion home, Kingsolver relishes in the role of devil's advocate and gives a fair shake to every side of the coin (well, except the media. Kingsolver saves all a special vehemence just for them). The end result is a rational, open dialog between sides that are not used to rational, open dialogs. In true Richard Russo style, Kingsolver seems to thrive in telling stories that occur in small, tightly-knit communities. In the Poisonwood Bible, the Price family are living in a small village in the middle of the Congo, far removed from the workings of the modern world. In Flight Behavior she maintains the same sort of isolation by setting the narrative in a small, deeply religious Tennessee town that sees the bare minimum of outsiders. It would seem that Kingsolver enjoys crafting narratives with closed systems. But one must examine her motivations for maintaining such pristine character cultures. 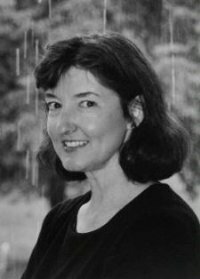 In using small, closed communities, Kingsolver is able to limit the input/output of her characters and introduce specific environmental stresses to her story in an attempt to forecast specific reactions among her carefully constructed characters. 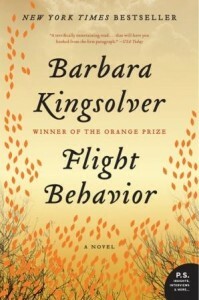 Like the lepidopterists that inhabit the laboratories of Flight Behavior, Kingsolver approaches her narratives with the mindful deliberation of a scientist, ensuring that no outside contaminants will sully her instruments prior to the data read out. And this is the reason for Kingsolver's success. In approaching a narrative in much the same way in which a scientist might approach a problem, Kingsolver is able to do away with outside contaminants and get to the root of an issue. I have heard more than a few people complain to me about the way in which Kingsolver crafts her characters. They are often one-dimensional personalities. That many of her characters can be reduced to single issues (he is a climate change denier) or single character traits (she is an uneducated racist). That may be true, but in Kingsolver's world (as opposed to the previously mentioned Richard Russo), stereotypes are a Kingsolver-esque narrative necessity in that they highlight the very real divides that plague our own communities. But Kingsolver fleshes out the stereotypes and makes it difficult to take specific sides along the way. But let's not let all this analysis get in the way of a good story. As in real life, there is an ambiguity in everything that occurs in this narrative. Despite the absolutes in which the characters speak, events happen and the characters are forced to compromise their expectations and morals. And just like real life, nobody gets exactly what they want. Make no mistake, Flight Behavior is not a quick moving narrative. Rather, it simmers like a rump roast in a hot country kitchen. And considering the immediacy of many of its environmental themes, Flight Behavior behaves itself by not moving any faster than it should. No more than one would expect if it were propelled entirely on the strength of a butterfly's wings. About the Reviewer: Ryan is a Canadian citizen lost somewhere in Asia, which is a terrible place to be lost if you like reading English books. He gets by via second hand book stores and his Kindle. If given the choice (though he rarely is) he prefers literary fiction and non-fiction. Oh yeah... and zombies. Ryan has been an avid reader of zombie lore for over 20 years. That's either awesome or utterly sad. You can choose. 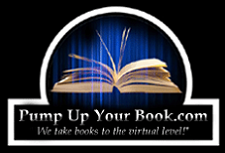 And if you want to see what else Ryan has been reading, you can visit his personal blog, Reading in Taiwan. I'm also a huge fan of Poisonwood Bible (fantastic book!) and I'm looking forward to reading this book as well. I just started this book, this morning. I was worried in chapter one because it was starting off super slow for me, but I kept going only because it was Barbara Kingsolver, and I'm settling into it. It's nice when you've read enough of an author's books to trust that they know where they're going. When I finished the book and reflected on it, it struck me that there were no wasted words; this writing was an exquisite, artfully written tale with layers of metaphoric gifts to explore. glasses might also sell medicine? City recruiting and Social Security Institution of health insurance center team said that the practice with the glasses store has realized the scope of medical care insurance card, alleged violation. the smiling experience up and say: "are you need glasses? Let's examine the world famous brand! " Often the reporter saw, the purchase counter placed "ports", "Lei Peng" and the world famous model glasses, these glasses are mainly in the 600 yuan -1500 yuan, but also in the end the main frame of 300-400 yuan. Subsequently, the reporter traveled to No . 366 in guogeli street two floor connected with another branch of the reporters fight glasses, he needed to buy a pair of sunglasses. Clerk enthusiastically recommended to reporters a pair of sunglasses worth in excess of 1200 yuan. Reporter expected the clerk to buy sun shades can use Medicare card swipping? "You choose, you can use health coverage! " The clerk responded affirmatively. During the interview, often the reporter saw, there are a lot of shoppers in the two shops during the buy of high-grade glasses, which will many people are using health insurance playing card consumption? "We are all previous friends' relatives and good friends, we only give visa or mastercard, when the customer's cash just enough, we will remind one! " Struggle glasses search a clerk said. Medical insurance coverage card to buy glasses or possibly sunglasses reasonable? City hr and Social Security Travail medical center staff made it sharp that the purchase of glasses just within the scope of the by using Medicare card, sunglasses, naturally , is not in the use of Addolcire card. Glasses glasses find consumers to brush Medicare master card sales Glasses behavior, it seems like alleged violations.